Ever received voice mails like these? I’m pretty sure you have, and sadly, I’m also reasonably sure you’ve probably left messages like this as well. These messages usually come in on the day of a show, when someone is supposed to be subbing a gig for you, or just before a hectic workshop weekend. Whether for a performer or an event producer, troupe director, stage manager or venue owner, these messages are enough to send a normal, healthy person’s blood pressure through the roof! The somewhat grim reality is that most of us dancers are so focused on dancing and on our own performances that we don’t stop and think about effective business communications! So how do we learn how to communicate effectively? Do not assume that the recipient knows who you are, or how to get in touch with you. 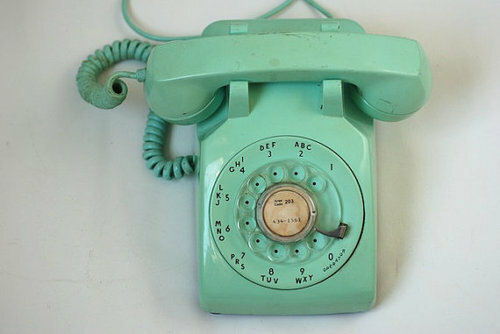 Always leave your name as well as the date and time you called. Start the message with your contact information, and repeat it at the end of the message, slowly and clearly. Make your message short and to the point, but always be extremely specific in what you are referring to. If you are talking about a class, a gig, rehearsal, workshop or whatever… refer to it by date, time and by the name of the event. If you are going to be late for something, let the recipient know whether you mean you’ll be tardy by ten minutes or two hours. If you have a flat tire or some other emergency, state the facts in a brief, succinct manner and also offer an Estimated Time Of Arrival, even if that might mean you will not be there at all! If you cannot attend a certain class or time on a workshop weekend, make sure to specify which class or show you are referring to. Chances are, there are multiple events going on during the course of the event. Merely saying that a message is “important” can have a wide range of meanings. What is important to you may not be something earth-shattering to the person you are communicating with- or it might be a major game changer! Juicy gossip is not important… the fact that your brand new costume looks amazing is not important. For certain information needed on the day of the event, refer to websites or previous emails before calling the producer or stage manager. Remember, most of this information is probably already available- read the “fine print” on the performer emails or do some research on the web before causing panic for a stage manager or an event producer…they are trying to do their job while fielding a number of insignificant, time-wasting calls such as yours. Yes, I actually said that! Don’t make their lives a living hell by causing unnecessary stress. Don’t leave anybody high and dry… if you cannot show up for some reason-offer a solution in your message. If you need to miss a club or restaurant gig, supply the name or names and contact information of a suitable substitute performer in your message. If you are a principle in a show, as a professional, you need to be there, unless it is truly impossible. Do not make a producer or club manager replace you at the very last moment unless you are having a bona fide emergency. Being stranded in an out-of-state airport is an emergency; having a headache is not. If you need to get your music in but cannot email it, make sure to send a CD in well ahead of the time it’s supposed to be there. Don’t make the producer or stage manager chase you down. By remembering these important tips, you’ll have much better communication skills, and through your consummate professionalism, will make yourself beloved to whomever you are calling… which of course, will lead to more gigs for you! Raksanna is an amazing bundle of awesomeness. Though I’d known about her and followed her career, we first officially met in 2009 in Cairo, at the Ahlan WA Sahlan Festival. For some reason, maybe it was fate, we seemed to be on the same schedule, both workshop-wise and jet lag-wise, and we just kept bumping into each other. We’d always seem to meet in Hanan’s costume atelier, and smile at each other kinda pie-eyed over cups of steaming hot mint tea, valiantly trying to form comprehensible sentences. When we got over our jetlag, we began having conversations in earnest and I realized that not only was Raksanna a great performer, but also a truly warm, funny and intelligent person. She is also driven and ambitious- she always has a lot going on. Aside from teaching and performing, she writes for many dance magazine, has been featured on many belly dance DVD’s and tours the world. Though she lives in Chicago, she has taught for the past four years at the Ahlan WA Sahlan festival in Cairo, where we keep seeing each other for our once-a-year date! One of the things we love to do at the Mena House’s Khan Al Khalili coffee shop is pig out on koshary, sip some wine and discuss our various goals and projects…and for Raksanna, one of her projects has just fast-forwarded into reality! She has just written and released a book called “Confessions Of A Belly Dancer: Secrets Of The Hieroglyph”, can be purchased here: www.lulu.com/raksanna. Not only that, it’s been adapted for the stage, and co-produced by legendary Egyptian dance master Momo Kadous! “Confessions Of A Belly dancer will come the stage next week on Saturday, November 3, 2012 at the Paramount Theater, Copley Stage in Aurora, a western suburb of Chicago. Featuring an international cast of eighteen members, the show, which features music by Dr. Samy Farag, will be touring in 2013. “As a dancer, I believe the ability to bring music to life on the canvas of our bodies is a very special gift from God. Each time we have an audience, we have an opportunity to share that gift and uplift the people who come to spend time with us. We never know what the people in the audience are facing – perhaps they had to choose between paying the electric bill and buying a ticket, just to escape the stress of life for a brief moment; perhaps they just had a huge fight with their loved ones; maybe they just received a promotion – we never know. Before I perform, whether as a soloist or with my team, I always pray and ask God to allow the Universal Spirit of love flow through me and touch each audience member on the soul level, leaving them uplifted and happier than before they walked in the door. I also thank God for the special gift of being able to dance. Then, two deep breaths … and I dance my way to the stage. Photo: Radiant Raksanna in a costume by Mahmoud Mahmoud, at The Mena House, Cairo in 2011. I'm not entirely sure.... but I think I took this picture! 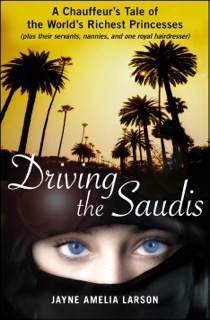 Driving The Saudis is an incredible memoir by actress/producer Jayne Amelia Larson. The book, which was just released on October 16, 2012, first came to my attention via an email from the author herself- she wanted to hire me to belly dance at one of her book signing events in Los Angeles! I couldn’t do the date, so I sent another dancer, but I did request an advanced copy to review, thinking it would be an interesting read. Boy, was I right on the money- this book is a page-turner! I devoured it in one sitting. I have danced for various members of the Saudi Royal Family over the years, and I never quite got over the sheer opulence. I fondly (and greedily) remember the days back in the 1990’s when Saudi Royalty was present at shows I was doing at Arabic clubs: it became almost dangerous to perform, because there was so much crisp, fresh-from-the-bank cash on the parquet floor that dancing was literally like ice-skating on the bills! For one private party gig, I was picked up in a white stretch limo and brought to a mansion in Santa Barbara (an hour and a half north of Los Angeles) to perform. At another gig, a Saudi “scout” was sent out to video tape a show I was doing at an Arabic club before I was hired… and this was back when no “normal” person owned a video camera! At that particular event, I remember the moments before my show spent mentally totting up the amount of money that was probably spent on floral arrangements alone (not to mention the priceless antiques!) and realizing that it amounted to probably more than I made in the course of two and a half or three years. There were Arabian antiques everywhere, and the women I danced for were dripping in jewels and Dolce & Gabbana custom-made couture. So anyway, I figured this book would reflect some of that glamour, and it did, in spades…but it also shows a decadent, darker side that most people don’t have privy to. Within this realm, the Royal entourages of relatives, staff and hangers-on, all members are more than aware of their position and status- and are constantly scrambling to keep their status intact. The inter-personal relationship dynamics and the insight into human nature, both good and bad, are absolutely fascinating. There is a hair dresser who is a holy terror, spoiled teenage princesses who are addicted to In-And-Out-Burger and hip-hop hits, and even more spoiled adult princesses who routinely drop hundreds of thousands of dollars on designer duds in a single afternoon shopping spree on Rodeo Drive while their maids and chauffeurs patiently wait on the street, sleep deprived from being on-call for 24 hour shifts, guzzling Red Bull. There are tales of multiple plastic surgeries, forbidden love, rebellion and resignation. The Royal family’s security is an operation on par with the CIA, and in the sumptuous Beverly Hills hotel where they are ensconced, an up-scale suite is consigned for use only as a tea-room, with furniture, incense, the tea sets and food imported in gigantic crates from Saudi Arabia. Meanwhile, the North African and Philipino female maids and servants also on 24-hour call, are forced to sleep seven to a room! Larson had the distinction of being the only female chauffer of many drivers hired, and because of this, she formed close, intense bonds with many of the women in the entourage, from Royals and the trusted nannies they’d grown up with to the extremely young maids. She also experienced rivalry and suspicion among the male drivers, because of her unique closeness with the Saudi women. Jayne Amelia Larson’s one-woman show, Driving The Saudis won Best Solo Show at the 2010 New York Fringe Festival- and this book is so well-written, with so much astute observation, that the reader will feel like they are right there among the entourage. I highly recommend this book…and also wish it could be made into a feature film! It’s a few weeks before Halloween, which has always been my favorite holiday ever... so, in honor of the season, here is an article about the way I feel about lending out my costumes at this time of year. If you are like me- and if you’re reading this, I’m sure you are- you are already aware that this is the time of year when everyone you know hits you up about borrowing or even renting your stage costumes. Call me selfish, call me witchy, or just call me a “Hallo-weenie”… but I NEVER lend my costumes out for Halloween ( or for Burning Man, or any other event for that matter) unless I already know it’s something that could be replaced, or an item I could easily part with. These pieces are my work tools, my office supplies, and in most cases, very expensive. 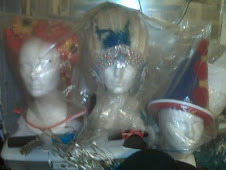 But whether it’s an Egyptian belly dance costume I paid $700.00 for, a vintage burlesque outfit or pair of old character shoes that I embellished myself, they are professional accoutrements that I can’t do my job properly without. You know how everyone makes New Year's Resolutions...and then breaks them? At the end of last year, I promised myself that I was going to really and truly try to stay put a little more. "This next year will be for me," I said earnestly to myself.
" In 2012, I'm gonna take more classes than I teach...get back to cooking instead of eating road food... maybe start a garden. Hell, maybe I'll even go on a vacation!". Yeah, right! I'm kinda stunned that it's October already, the year is almost over. 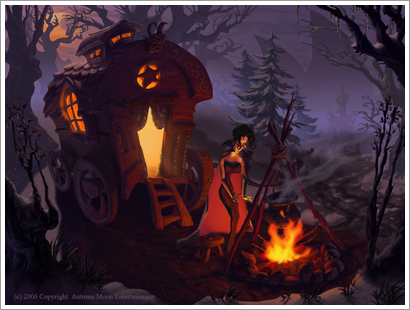 It's already time for The Holidays... that is, if you count Halloween as part of them, the way I do! Anyway, so much for my resolution... I'm finishing out the year the way I started it- on tour. And lots of my 2013 travel is already booked and confirmed- just the way I like it. Might as well face the facts, I'm a damn vagabond- I love being on the road! In January 2013 , the Los Angeles-based Punk Hostage Press will be publishing a new book ( under my given name, Pleasant Gehman) that I've written, titled Lady Don't Be Panic! The book is all memoir- true stories featuring some of my craziest on-the-rod road incidents, from my days touring with my all girl rock bands in the 1980's to more recent global shenanigans from my dance career. If you'll be in Los Angeles on Sunday, October 14, I'll be previewing some of the material in a re free reading at Stories Books & Cafe, along with Punk Hostage authors Iris Berry and A. Razor. If you don't live in LA, then I'll probably see you soon at a dance event! Here's what else I'm up to- at least for the near future. Excited to see old friends, make new ones, dance up a storm, and generally cause some trouble!